Restoration of Used Oil The following are some of the most popular oil regeneration methods and represent a combination of physical and chemical purification methods. These methods include Ion exchange, coagulation, selective contaminate solution and adsorption. The process of coagulation makes particulate matter in the oil larger grow larger. 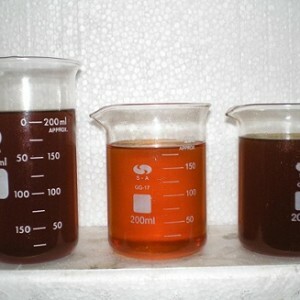 This is possible with the introduction of special coagulants into the oil. 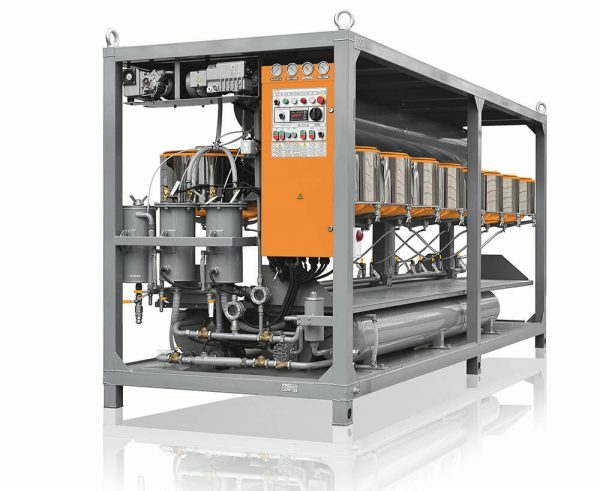 The process is governed by the amount of coagulant added, the duration of its contact with the oil, and the temperature and stirring efficiency. Particles grow for 20 to 30 minutes in the oil allowing them to be processed out through filters or centrifuges with relative ease because of the larger size. Adsorption purification uses special substances that capture contaminants either on the surface of their granules or inside capillaries found within the granules. Adsorbents can be both natural and artificial. The former include clays, zeolites and bauxites. The latter include alumina oxide, synthetic zeoline, silica gels and alumina silicates.. There are several different widely used Adsorption methods. The Contact method involves mixing oil with small particles of sorbent. Oil can also pass through a layer of sorbent which is known as the percolation method. In the counter-current process, oil and sorbent move in opposite directions and towards each other to remove contaminates from the oil. The contact method requires large amounts of adsorbent which may contaminate the environment and requires disposal increasing environmental hazards and labor costs. The Percolation method involves the use of expensive silica gel. The “Counter-Current” method therefore, is considered the most promising. This process is continuous, and the adsorbent does not require replacement, regeneration or filtration. It is environmentally friendly and is more cost effective because it re-uses the sorbent material and reduces labor costs. GlobeCore’s CMM-R transformer oil regeneration units are capable of producing excellent results. GlobeCore units use an environmentally friendly Fuller’s Earth sorbent material (a type of bleaching clay). These machines restore the dielectric strength and chemical composition of transformer oil and extend the transformer’s service life. During the process, the oil is purified, decay products and acids are removed, the color is improved, and oxidation stability is increased. GlobeCore’s CMM-R units allow processing of oil directly in the transformer either online or offline. A significant advantage of the GlobeCore Process is the use of Fuller’s Earth that can be reactivated multiple times. This allows the CMM-R Unit to continuously process oil without the need to dispose of and replace the sorbent material after each regeneration cycle. The Ion exchange purification method is based on the ability of “ion exchange resins” to capture contaminants that dissociate into ions in a dissolved state. Structurally, ion exchange resins are solid gels made by polymerization and poly condensation of organic substances. They are insoluble in water and carbon-based liquids. Purification may also be performed by contact or a percolation process. 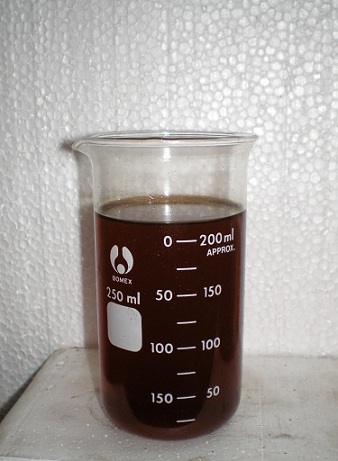 In the first case, processed oil is mixed with 0.3 – 2 mm granules of the resin. In the second case, oil passes through a special column filled with ion exchange resin. As ion exchange occurs, ions of contaminants replace ions of the resin in the structural frame. To restore the ion exchange resin, it is rinsed with a solvent, dried and activated by a 5% solution of sodium hydroxide. Ion exchange resins allow for the removal of acidic compounds from the oil, but cannot remove tar. In the case of selective purification of used oil, various components such as oxygen, acids, and nitrogen compounds are solved selectively. The usual solvents are nitrobenzol, acetone, various spirits, phenol (and its mix with cresol), methyl ethyl cetone and others. 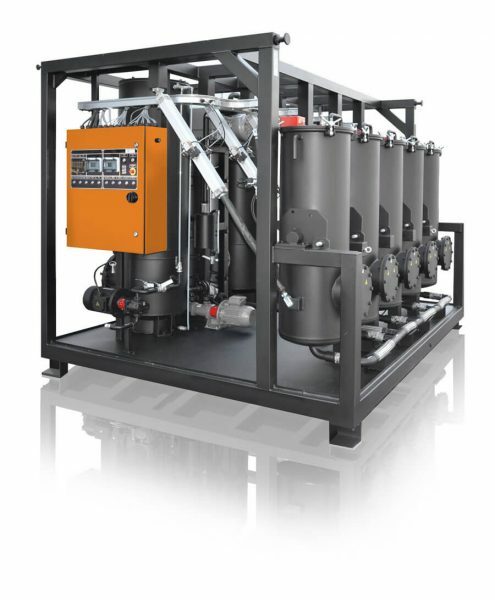 Selective purification units are designed as mixer/setting tanks with additional evaporators for solvent distillation. An example of selective purification is “propane treatment” of oil. 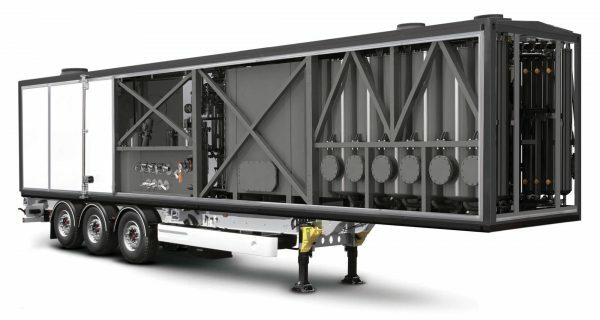 It can solve the oil’s hydrocarbons and precipitate asphalt and tar that is present in the oil in the form of colloids. Of all of the above methods, the GlobeCore Process, using an automatically reactivated Fuller’s Earth system of filtration, is the most advanced and most cost effective method of oil regeneration in the world today. Its time to get with the Process, The GlobeCore Process!